Getting messy with it: managing multi-taste mealtimes! Half term has been and gone, and it was a good one. A trip to Godstone, a rainy morning at Nymans and a gorgeous day in the sun at Southwater Country Park (I just bloody love Southwater. It is so brilliant, feels a bit like being on holiday and is completely freeeeeee!!) and the rest of the time just muddling around, mainly in our pyjamas. There was a LOT of eating. Especially because I have done some proactive parenting (rare) which has been (so far) at least partially successful (rarer)! Both boys eat basically everything with a few specific exceptions, which is fair enough. Nancy is unfussy about basic ingredients; really good with all veg, fish and meat. She is not good, however, with combined dishes. She loves pasta, beef, tomato, mushroom, pepper, cheese but will not touch a lasagne. Mince is her enemy, any kind of pie her worst nightmare. She is not really a fan of any kind of sauce that is not on pasta. Thus cooking in our house, because she is the oldest, has always been focused around separate dishes, such as sausages, fish, chicken with a separate carb and a pile of veg, or pasta. And a few weeks ago, I finally got completely bored of it, and realised that I have been denying the boys more hearty dishes that I knew they would love. Plus batch cooking makes things so much easier and I longed to make a shepherd's pie and a curry on a Sunday to whip out mid-week, without having to start from scratch after school. So I introduced a Tasting Jar (decorated by Nancy and Sam of course). I briefed the kids that twice a week I would make a dinner that they don’t normally have and for every meal completely finished they would get to put five pieces of pasta in the jar. For a proper taste (five proper bites) they get to contribute three pieces. If they eat less than that, nothing. The incentive is that once they fill the jar, they get to go the charity shop (their choice!) and pick a toy each. It has worked pretty well!! Dishes conquered so far are spaghetti bolognaise, chicken curry, fajitas with all the trimmings and lasagne. They have been quite inspired by it, and keen to be involved in the cooking and it has all been pretty positive. 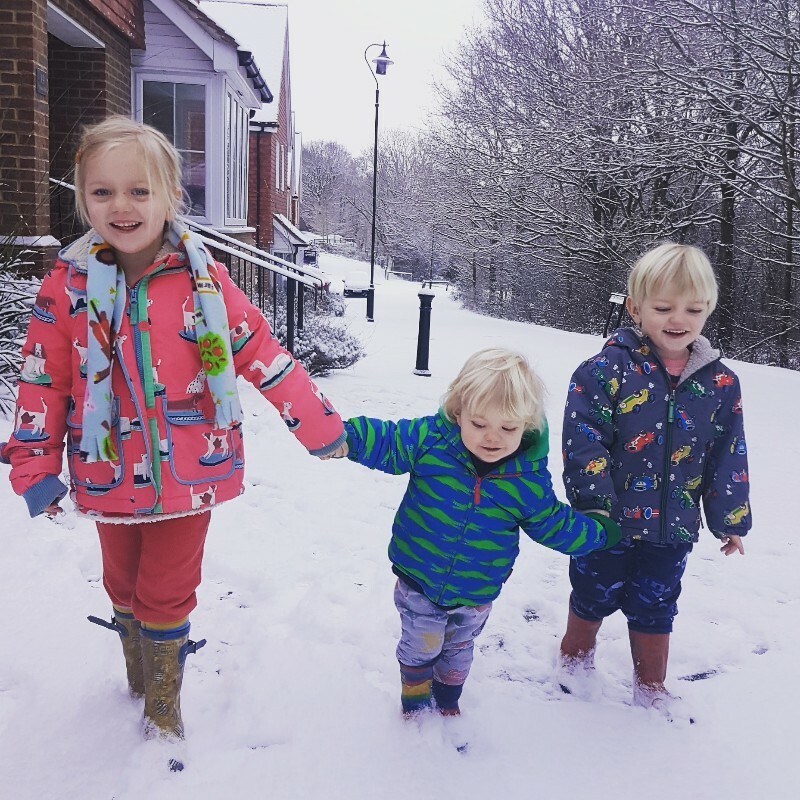 I got the idea from my friend Emily who did the same a few years ago with her Oli, and is one of those people who just smashes motherhood (life, really) in seemingly effortless style - always worth storing away nuggets of advice from mates like that! Before the snow (! 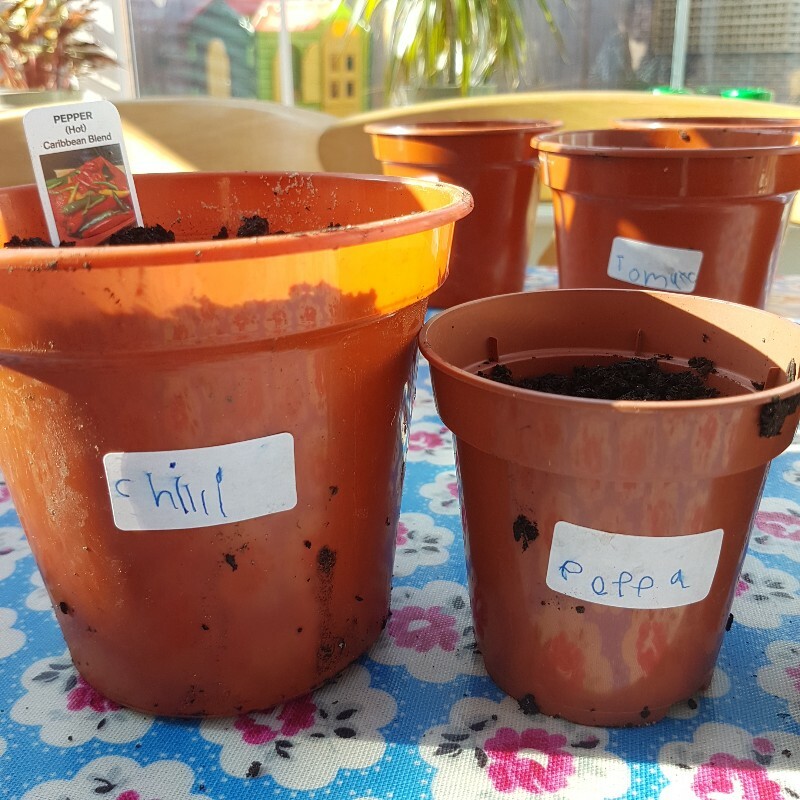 ), we planted our seeds to grow tomatoes, peppers, herbs and sweet peas on the sunny windowsills of our conservatory, something we do every year and the kids love; monitoring the growth of the little seedlings, taking the watering VERY seriously and then very proud and possessive of every piece of produce! It is all so sweet and wholesome that I have added our names to the list for an allotment this year so we will hopefully extend our planting and growing a bit - I feel like the gaining of an allotment might actually be the final step to becoming a real actual grown up!?!? My book recommendation this time is a library one we have really enjoyed, and I actually read to Nancy's class for World Book Day (theme: fairy tales). It is called Princess Daisy and the Dragon and the Nincompoop Knights by Steven Lenton. It is a silly, funny rhyming book which turns the traditional fairy tale on its head and (look away if you don’t want a spoiler) ends with the Princess sorting out the dragon problem because the knights can't. It concludes with "Girls are clever, tough and bold and brave and strong and true. We're just as good as boys, you know, we can be heroes, too". And it has the word nincompoop in it. What's not to love? !